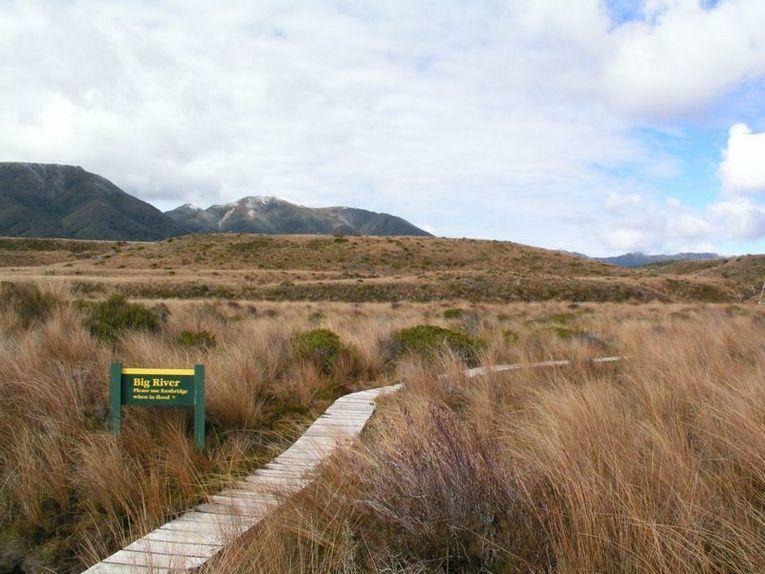 One of New Zealand’s Great Walks, the Heaphy Track is located in the Kahurangi National Park in the far north-western corner of the South Island. It can be walked from Brown Hut on the Golden Bay end or from Kohaihai on the West Coast end. Golden Bay Coachlines can get you to and from both of these spots as part of our package deal. 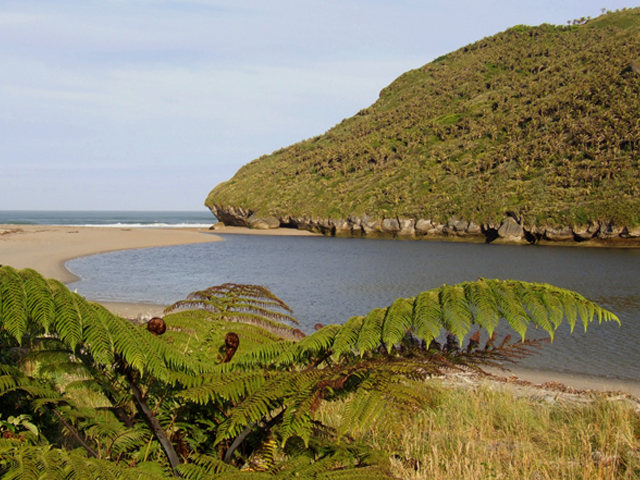 The 78km long Heaphy Track can be walked in 4-6 days or mountain biked (between 1 May and 30 November only) in 2-3 days. It requires a reasonable level of fitness. It climbs to about 900 meters above sea level and traverses upland tussocky downs, lush New Zealand bush and spectacular coastal Nikau palm thickets. All rivers and streams are bridged and there are excellent DOC huts strategically placed along the track. Many of the huts have been refurbished recently. It is advisable to boil all your drinking water as there is a slight risk of giardia here. There are no rubbish disposal facilities on the track so all rubbish must be packed out. On the track you are very likely to see and / or hear the following birds: weka, tui, bellbird / Korimako, pigeon / kereru, fantail / piwakawaka and robin / kakaruwai. You may also see kea and kaka, the smaller parakeet / kakariki and the blue duck / whio. With luck and a bit of effort it is possible to see or hear, great spotted kiwi / roa. A small population of remarkable Takahe – once thought to be extinct but now recovering in the wild – has been established at Gouland Downs not far from the track. Most of our services can be booked directly on-line, the following links are package deals available. Brown Hut Carpark - Beginning of Heaphy Track, Golden Bay end. 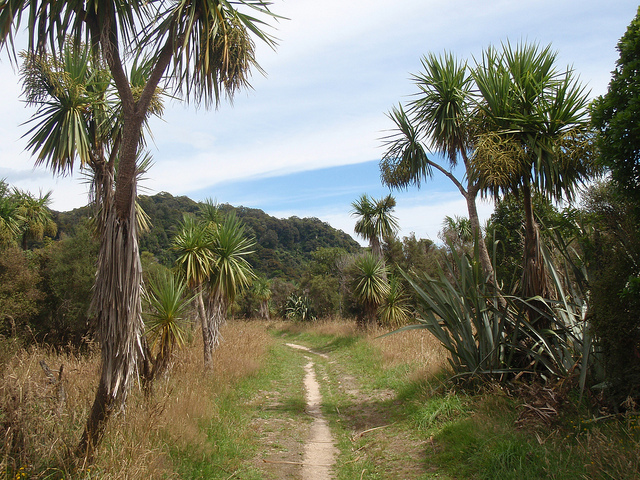 Kohaihai Carpark - Beginning of Heaphy Track, Westcoast end.